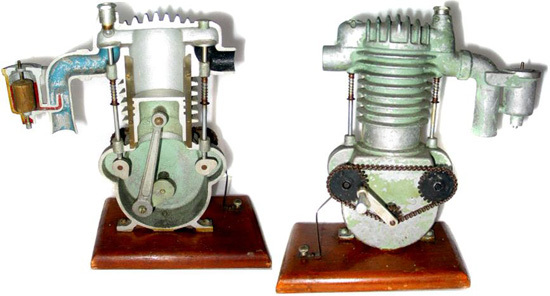 A very early 1930s German model of a single-cylinder motor that demonstrates how the piston, intake, exhaust and crank shaft work. 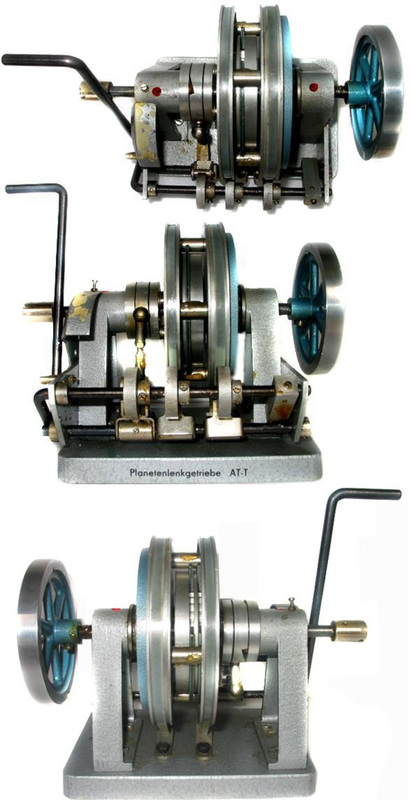 A 1950s German model of a three speed transmission with reverse demonstrated with a hand crank. 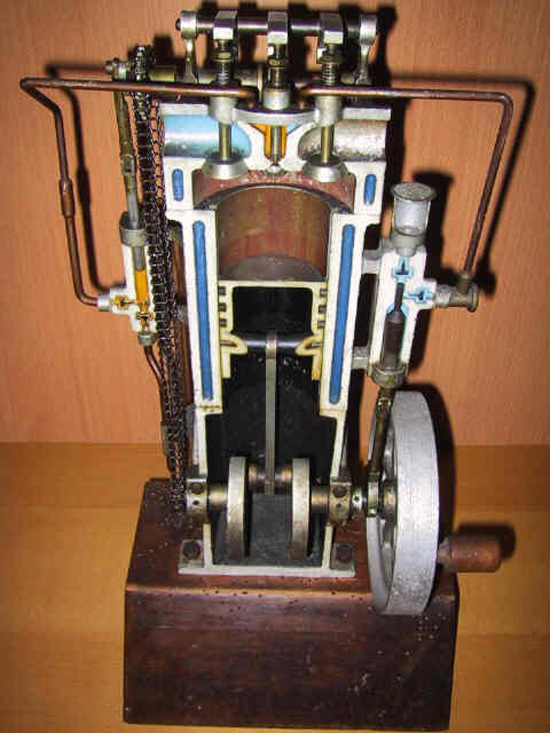 A press steel and cast iron model of a single-cylinder cutaway motor that demonstrates carboration as well as flywheel and piston operation. 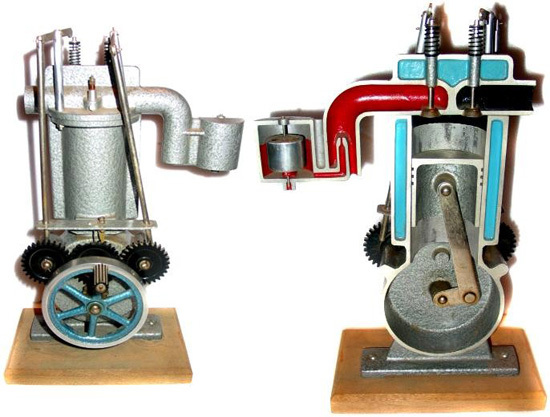 An early driving school model of a single-cylinder flathead that demonstrates valve timing and carboration. 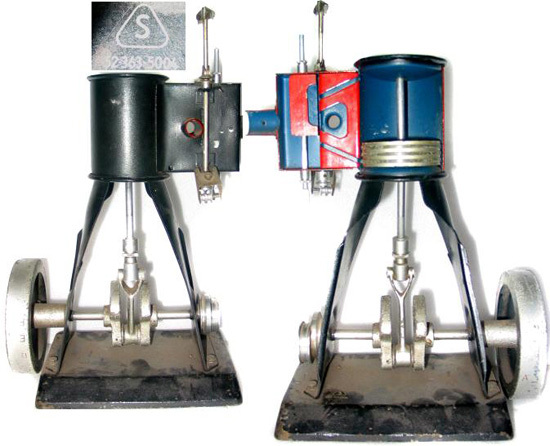 A very rare 1940s German model of an over-head cam single-cylinder engine that demonstrates the technical functions of the motor. It shows rocker arms and valves, piston and crank shaft as well as timing. It is hand-crank operated. 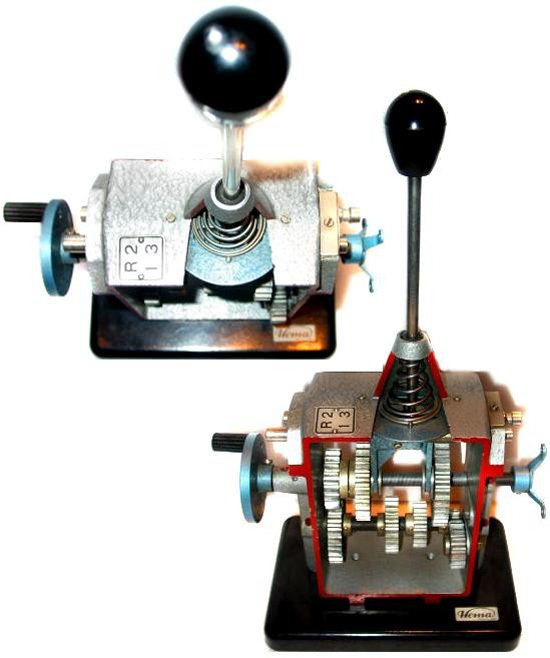 A German driving school model that demonstrates how a clutch operates. A very nice example of a 1950s German automatic transmission. 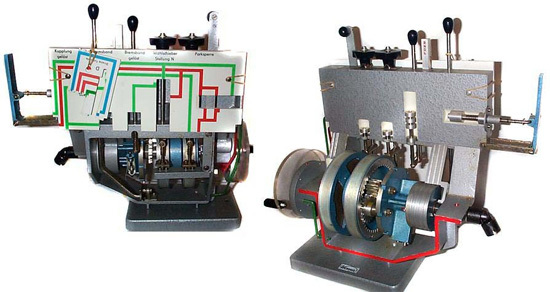 This model shows diagrams of the valve body and ATF (automatic transmission fluid) flow, a wonderful functioning model.